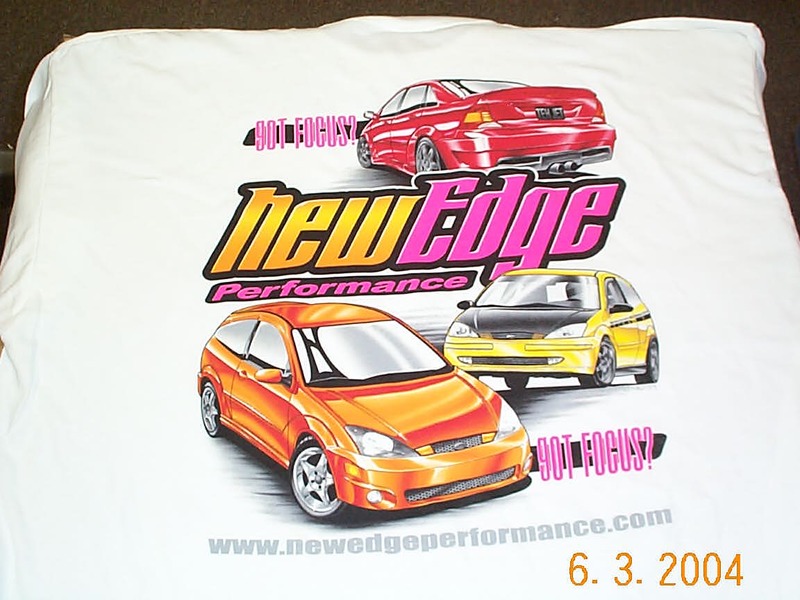 New Edge Performance now offers one of the few T-shirts available that features the Ford Focus. Designed by HotRodKris, member of many of the Focus message boards, this 100% cotton T-shirt features a ZX3, Sedan, and SVT Focus on the back. Six different colors were used in the design on the back. The front features a small logo on the wearer's left. This shirt is printed by the same company that prints shirts for the top 22 NHRA teams! Available in Large, Xtra Large and XXL. Picture shows the back of the shirt. Small "Got Focus" logo on the front.